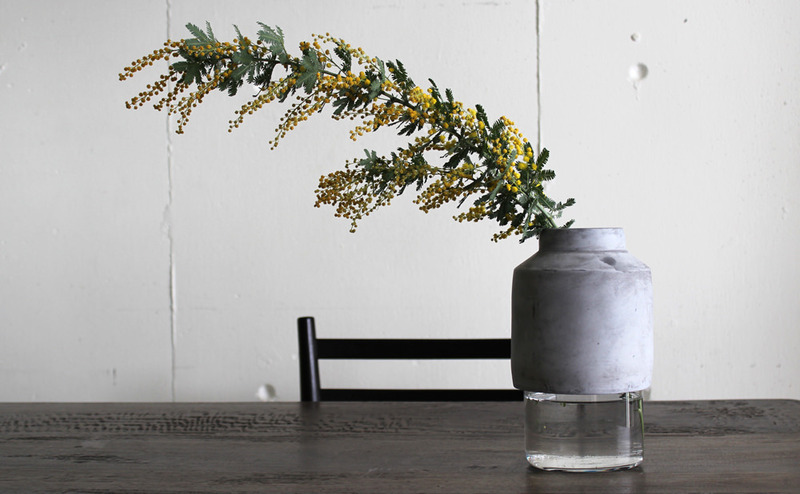 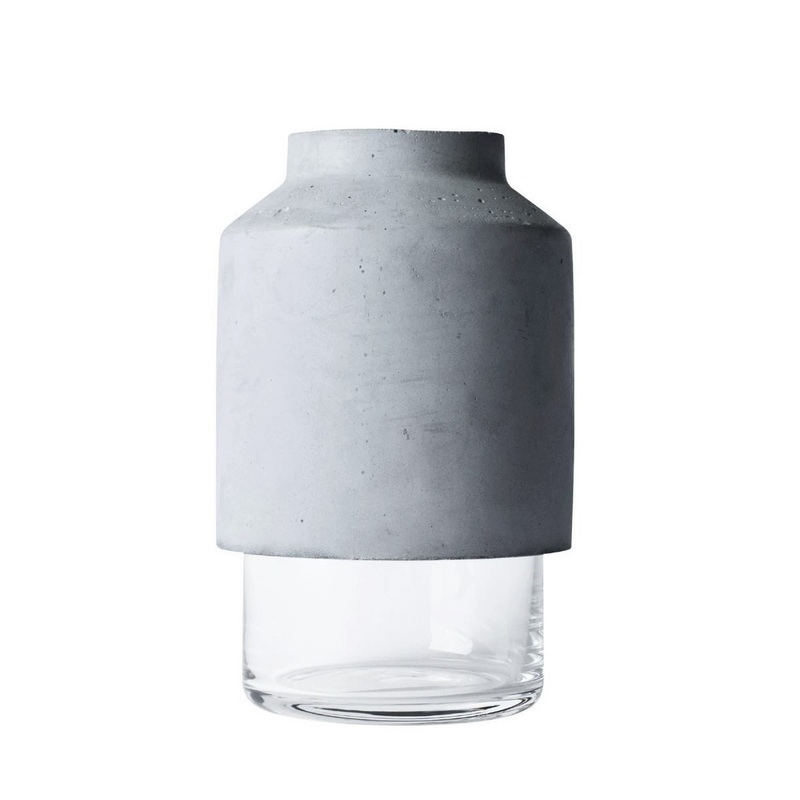 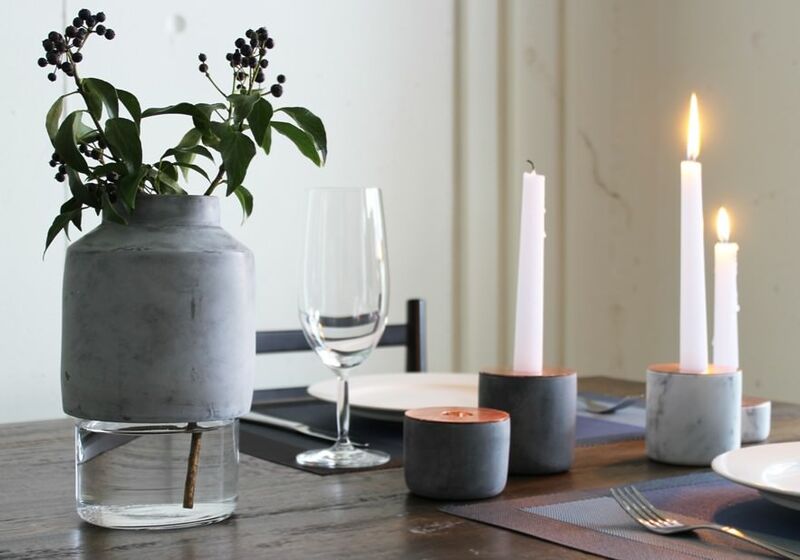 The Menu Willmann Vase pairs extra clear glass with a thick, rough top of concrete. 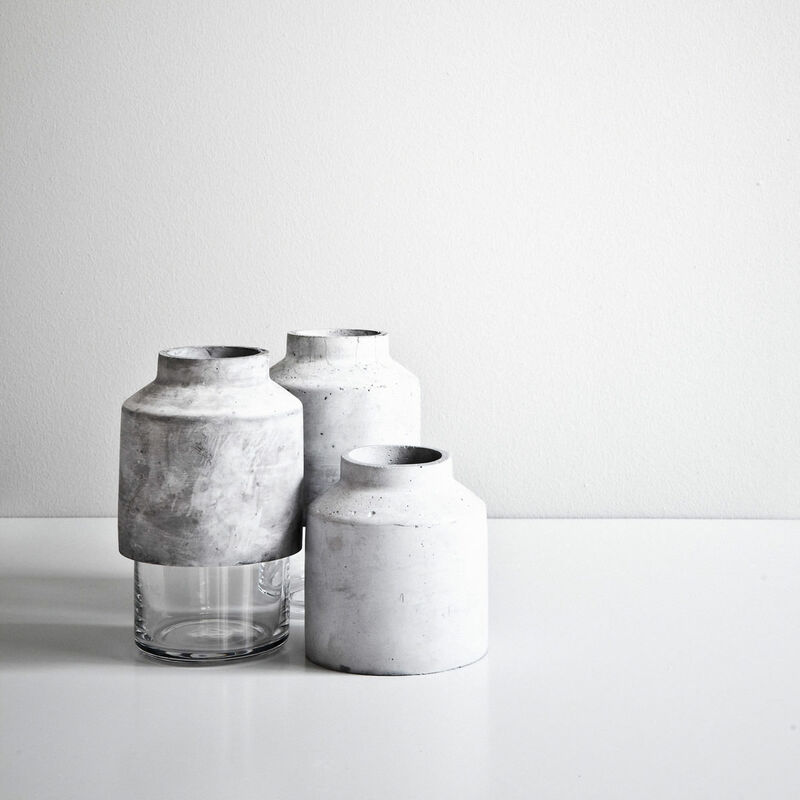 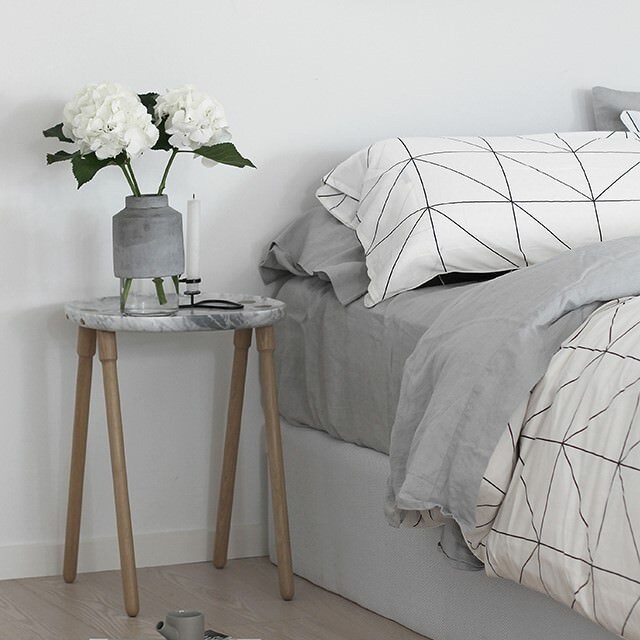 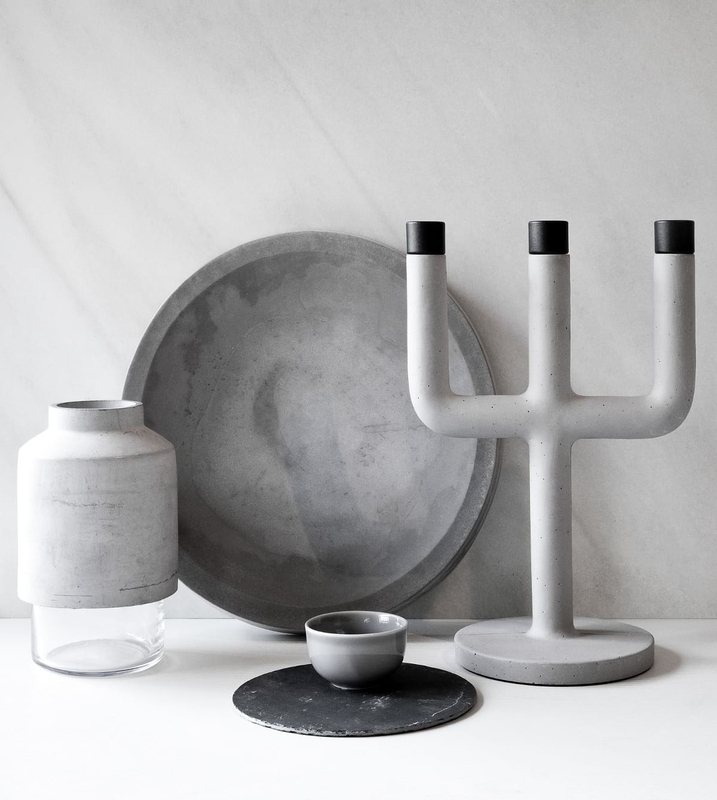 Designer Hanne Willmann avoids annoying details and flourishes with a new, minimal approach of design. 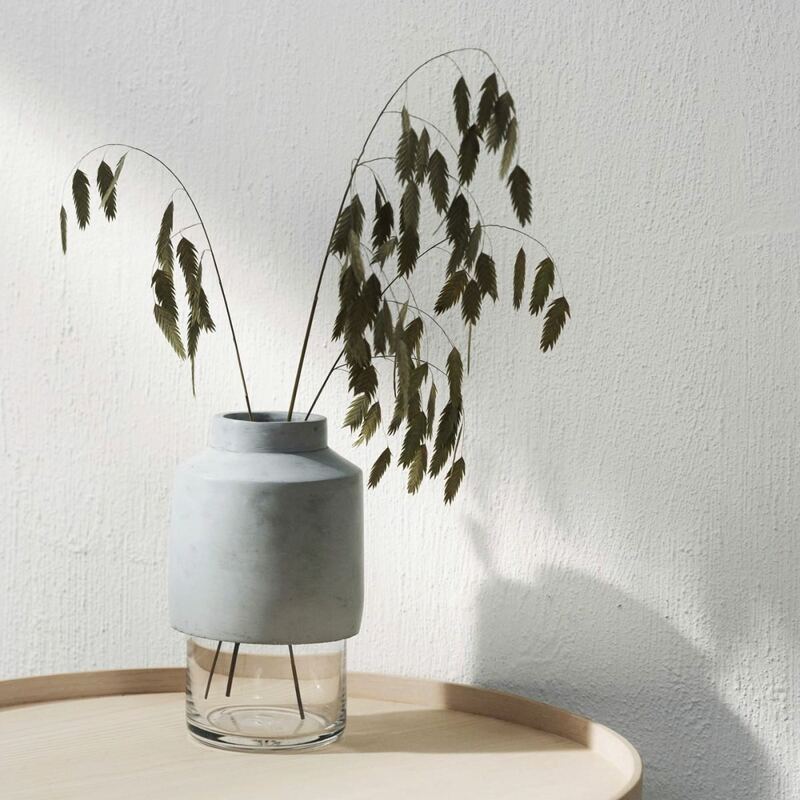 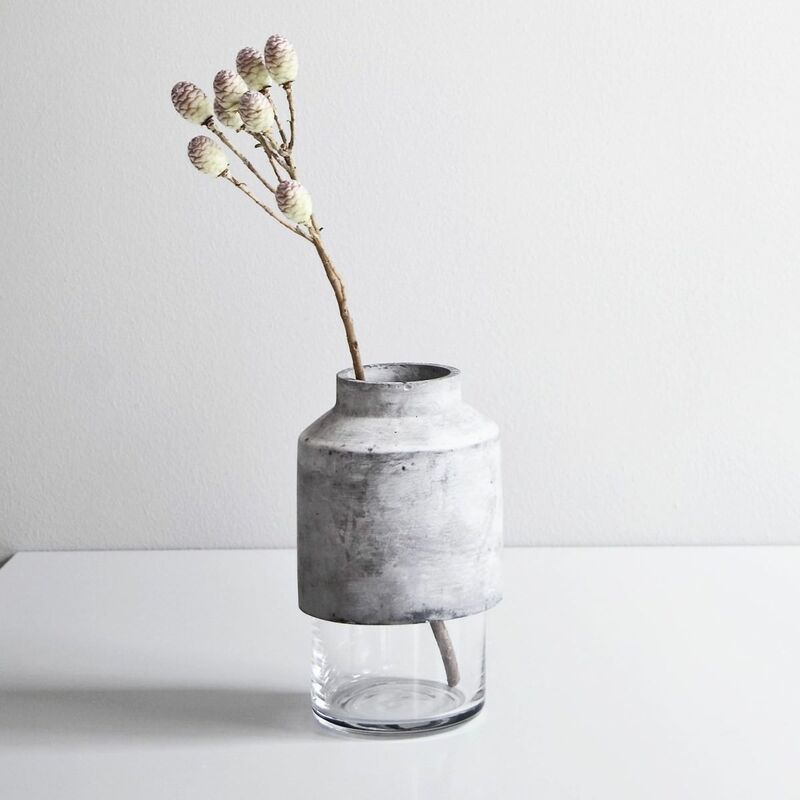 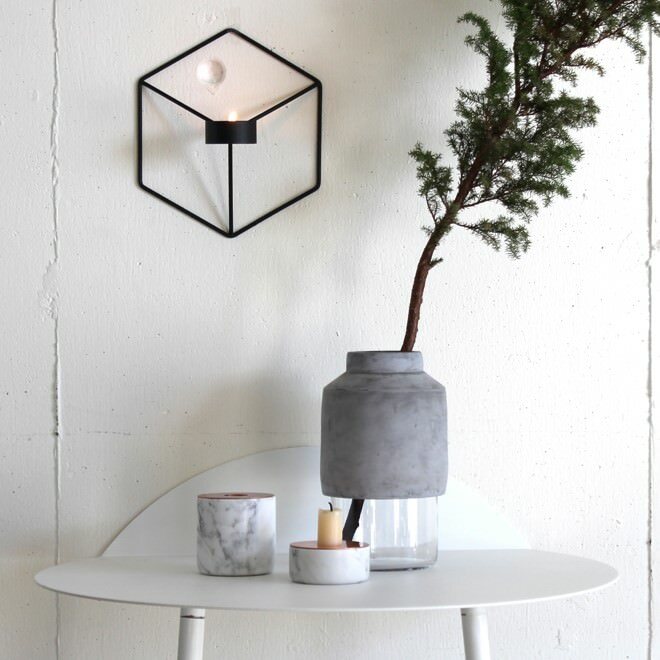 In addition to providing a visual and textural counterpoint to the glass, the concrete also creates an intriguingly weighty base for your more delicate floral arrangements. 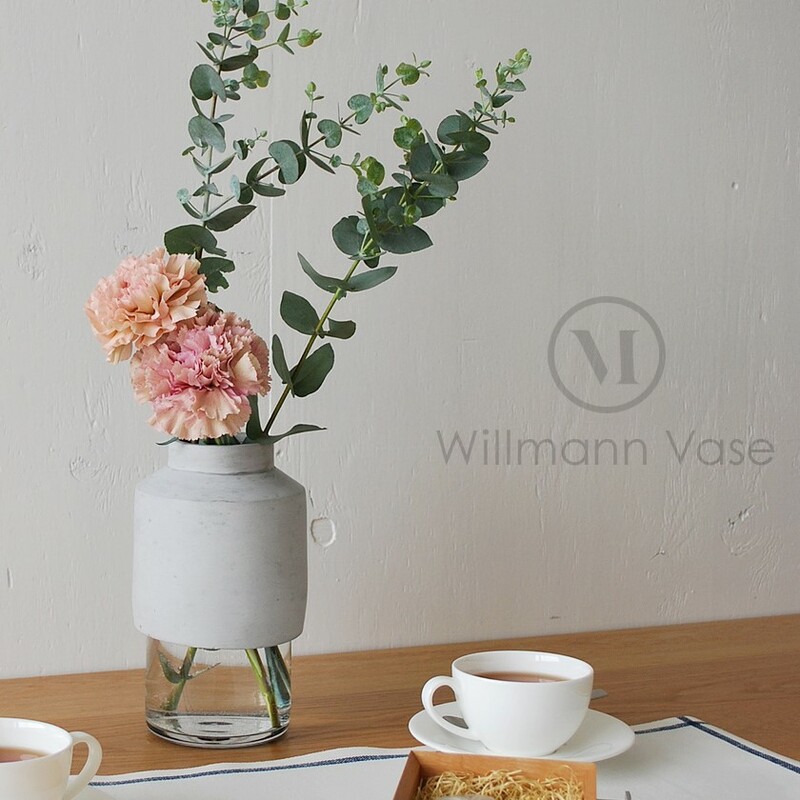 The special combination and contrast of materials, shows that even without any flowers, the Willmann vase is a powerful design object. 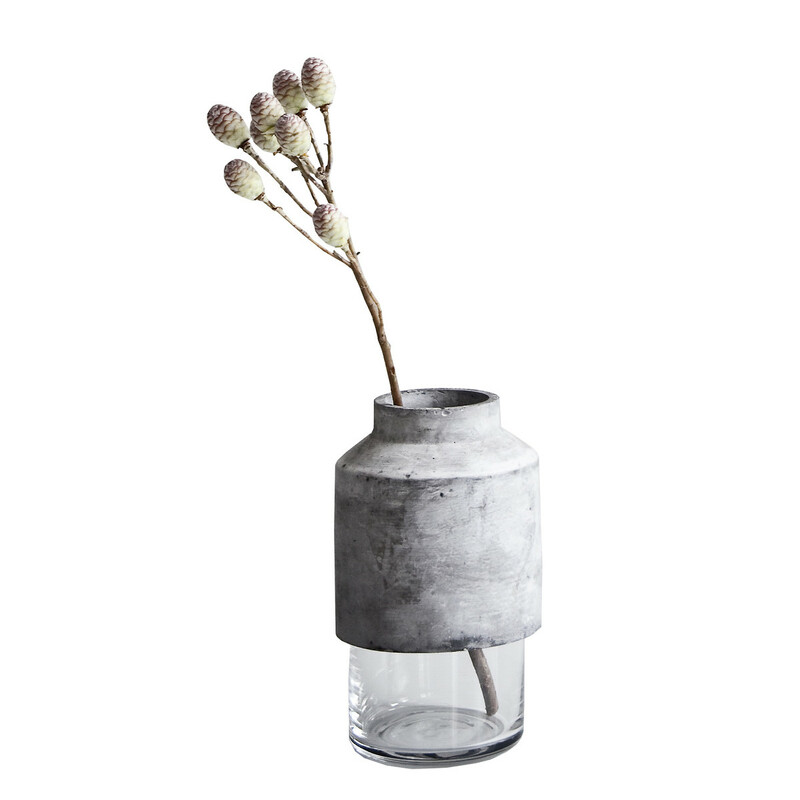 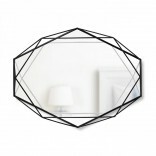 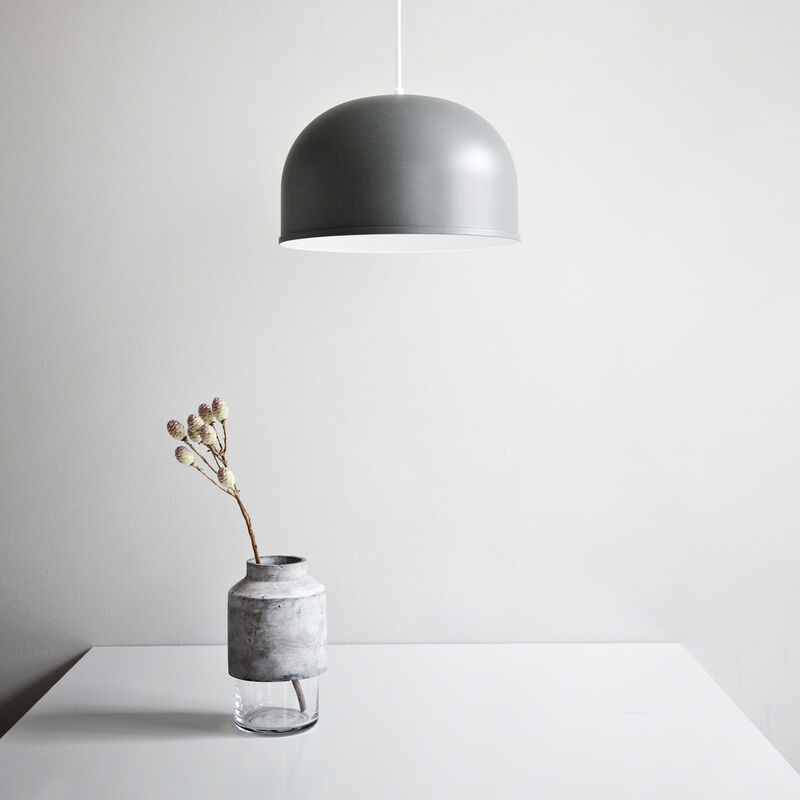 Color: light grey, clear glass.